ECommerce is understood to be one of the most effective ways of reaching a large market directly. Therefore, ECommerce is a great opportunity for marketers and developers to use technology to push their sales. It is through technology that different companies compete to be leaders in ECommerce. In this article, I will go through different pieces of software that Amazon, Google, Ikea, Sephora, Ray-Ban, Snapchat and Pinterest use to tap into the ECommerce world. 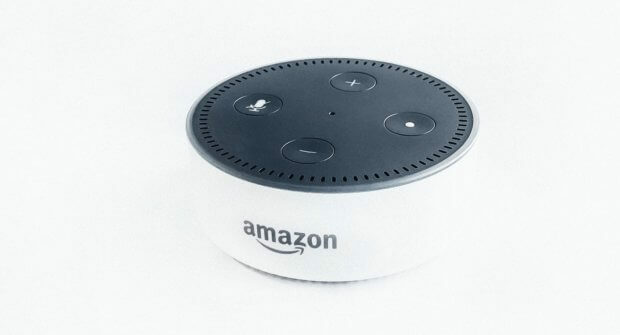 The two tech giants, Amazon and Google, are clearly fighting for market capitalization of voice assistants. 41% of adults and 55% of teens use voice search at least once a day. At the core of this battle is the software – Artificial Intelligence. Amazon’s Alexa and Google’s Assistant seem to be very similar products on the surface – but what really matters are the difference respective A.Is. According to a 2018 survey, Alexa is more useful for shopping, but Google understands you better. Figuring which one is preferable to shoppers will be key to whether Amazon or Google comes out on top. At the moment, Google is ahead of Amazon in voice shopping. So perhaps the relationship the user has with the voice assistant is more important than the utility. You’ve likely heard of VR – virtual reality, but you may not have heard of augmented reality. 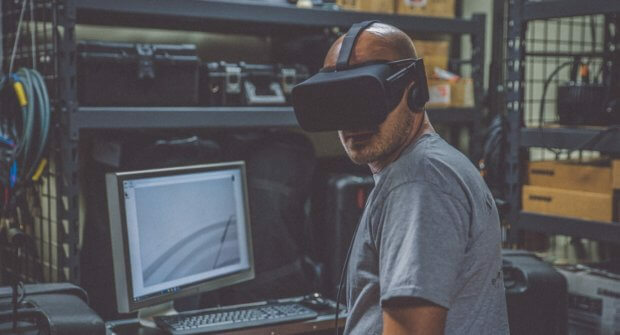 Augmented reality is using interfaces such as phone cameras or webcams, (or even Google Glass) to show virtual images or information projected into a real space. Pokemon Go is an example of an augmented reality game. Ikea recently has utilized augmented reality software to allow shoppers to see what different furniture would like in their own home. This could completely change the way shopping and interior design works. No need to carefully measure right-angles with tape measures, and no need to be concerned about whether a wardrobe will suit your bedroom’s colour scheme. Amazon offers essentially the same feature, but for the various home products provided by Amazon. In Amazon’s case, it makes even more sense. In Ikea, you can see the product in context – A sofa in a living room or a dining table in a kitchen – however, when purchasing something from Amazon, you never see it in its context, (except for in photographs online). Make-up company Sephora and the well-known sunglasses brand Ray-Ban have both utilised a similar type of augmented reality to push their ECommerce sites. 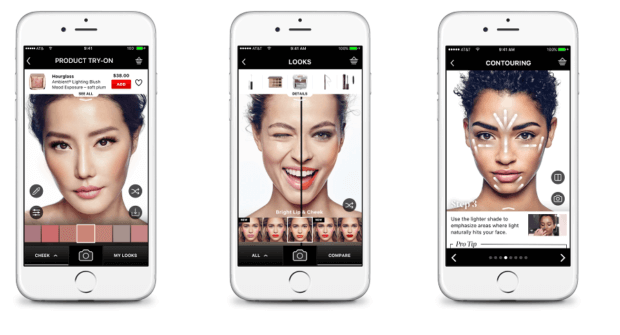 Sephora’s iOS ECommerce app released an update named “Sephora Virtual Artist”, in which you can scan your face and try different makeup looks. This allows you to try out looks you normally and allows you to see how the make-up will look before buying. Additionally, you can try out makeup tutorials which guide you through how to contour, etc. Ray-Ban offers a similar system, where you can preview sunglasses on your face to see if wayfarer or aviator styles suit you better. 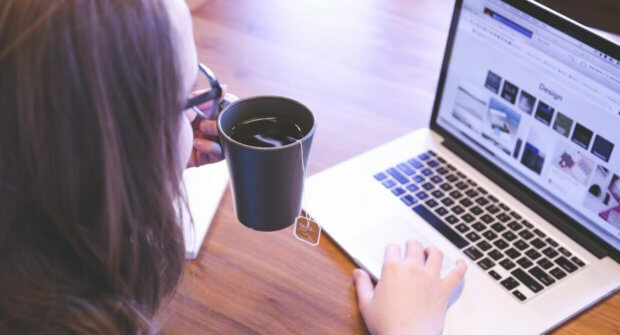 This gives both brands a huge advantage against ‘real-life’ shops, as these brands can now provide both the convenience of shopping online, with the ability to try the product before purchasing it, which was previously impossible online. Take a photo and the next thing you know it’s delivered to your door! Both Snapchat and Pinterest have developed similar software called “lenses”. Snapchat Lenses are similar to filters but feature a higher level of interactivity such as a dancing anthropomorphic hotdog which is superimposed on whatever your camera is pointing at. However, they have recently used it as a means of marketing Air Jordan’s – basketball trainers. Users could interact with an augmented reality feature, where they could watch a “virtual unboxing” of the trainers in their living room. Pinterest’s lens could also change the way ECommerce works. Imagine you’re looking through a friend’s photos on Facebook, and you see a pair of blue Nike trainers that you think would make a good present for a relative use Google and enter keywords such as “blue Nikes” “blue Nike trainers” etc. This results in you finding many different pairs of shoes, unlikely to be the ones you’re looking for. 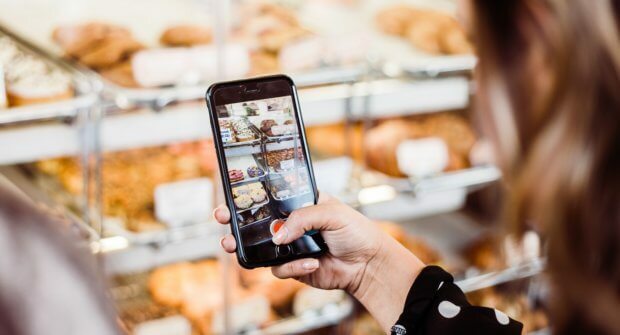 Pinterest’s lens would offer a solution, meaning all you have to do is upload the photo your friend’s shoes, and Pinterest will look through its database and will identify the shoe more closely than you could without its assistance. At Formation, one of our specialities is creating custom ECommerce sites using platforms such as Prestashop and Magento. If you’re interested in having a custom-built ECommerce website, contact us.